Comfort food at its finest, this American Pierogi Casserole is filled with mashed potatoes, egg noodles, onions, American and cheddar cheese, and lots of butter. It’s great for any get together or a warm, cozy dinner. Today a group of us are hosting a surprise virtual baby shower for Angie from Big Bear’s Wife. Angie and her husband tried to have a baby for a long time, and are so excited to welcome their little boy. He wasn’t due for a few weeks yet, but decided to arrive on Wednesday. Congratulations Angie! I can’t remember one thing we had to eat at my baby shower. I’m pretty sure we didn’t have American Pierogi Casserole, unless my friend Sue brought it. She makes it for almost all of her parties. The only thing I change is I add a cup of shredded cheddar cheese to mine. 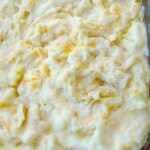 Cheddar cheese isn’t normally in recipes for this casserole, I just like it. 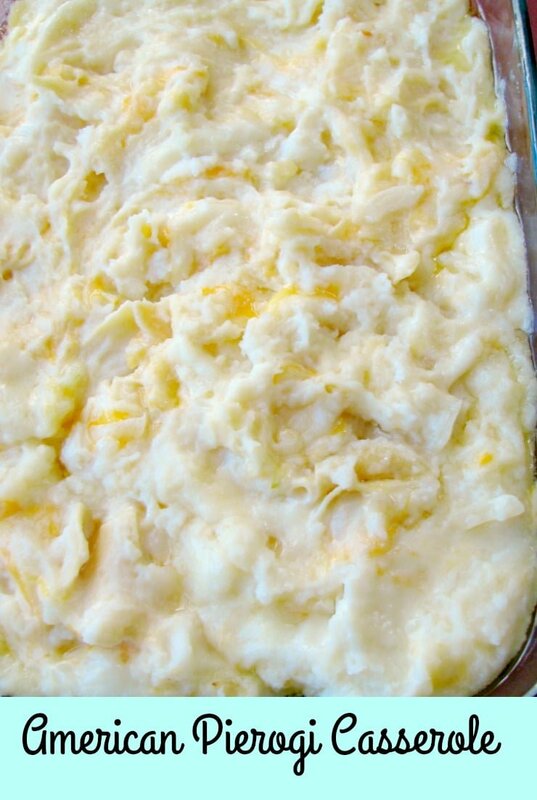 The ironic thing for me about sharing this American Pierogi Casserole recipe for a virtual baby shower is that my own baby (now 8) hates mashed potatoes and always has. I didn’t even try to get her to taste this. I’m sure she will regret hating them now when she is older. This dish isn’t hard to make, but it does take several pots and pans. You will need 6 cups of mashed potatoes. 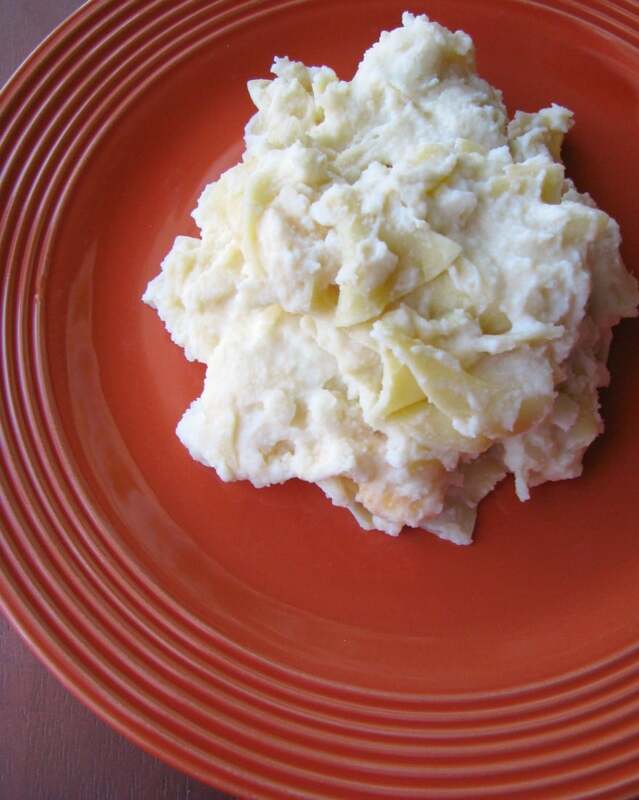 Make homemade and mash completely until smooth, or use instant potatoes! Trust me, instant potatoes are a big time saver and no one will know. You will also need to cook a package of extra wide egg noodles, and have 16 slices of American cheese. This is what it will look like right out of the oven. Stir it up before serving. I’m sure it could be prepared in a slow cooker if you wanted to, but I haven’t tried it yet. Check out all the other blogs participating in Angie’s baby shower below the recipe, and if your are looking for more recipes for a shower or party, check out my collection of Appetizers. Comfort food at its finest, this American Pierogi Casserole is filled with mashed potatoes, egg noodles, onions, American and cheddar cheese, and lots of butter. It's great for any get together or a warm, cozy dinner. Cook the egg noodles in salted, boiling water for the shortest time suggested on the package. Drain and rinse under cold water until cooled; drain completely. 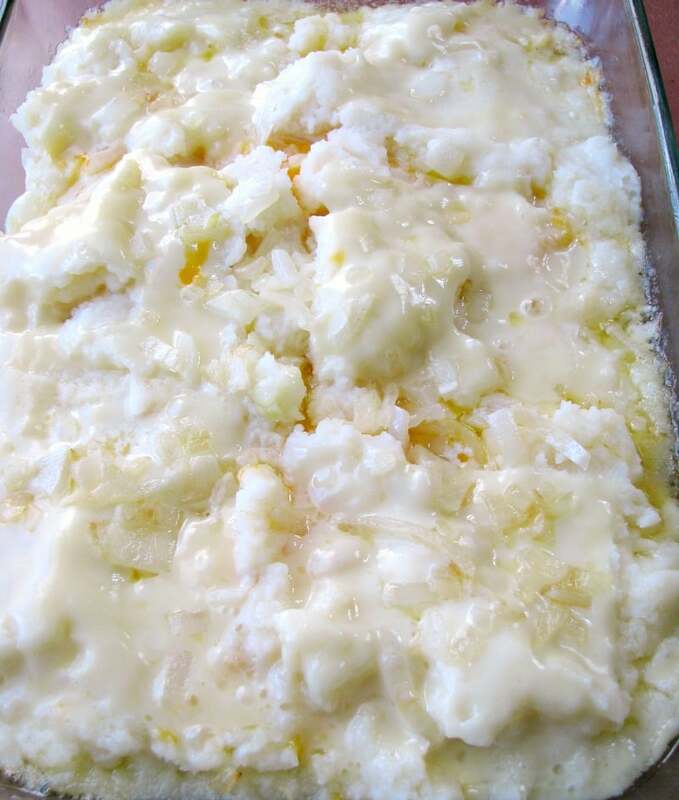 Preheat the oven to 350 degrees F. Grease a 9x13 baking dish with 1 tablespoon of the butter. Slice all but 2 tablespoons of the butter into thin slices. Saute the onion in one tablespoon of the butter in a pan over medium heat until softened, about five minutes. Remove from the heat. Spread 1/3 of the mashed potatoes evenly into the baking dish, top with 1/3 of the noodles, 1/3 onions, 9 slices American cheese (plus 1/3 cup of the cheddar, if using), and 1/3 of the sliced butter scattered on top. Repeat two more layers. Cover with aluminium foil and bake in the preheated oven for 30 minutes, or until the cheese is melted and bubbly. Becca, OMG! Bacon would be great in this! Add some, I won’t tell. Wow, this is the epitome of comfort food! I’d make a meal out of it! We do, but it’s very filling. I can only eat a little at a time. I will have to give this a try. My in-laws are Polish and we have pierogi making parties sometimes, but I’ve only make them on my own once. This would be a fun way to get the flavor! Hi Carlee, I’ve never made pierogies, I don’t really have time for that. Maybe someday, but until then this is a great substitute. Thank you so much for this recipe!! I love it and I can’ wait to make it here at home! HUGS!!! Hi Angie, you are very welcome! Congratulations, and I will be liking every picture you share of your precious baby! I love pierogis, but we rarely have them. My husband is of Polish descent, and apparently he was kind of “Pierogi-ed” out in his childhood. I’m totally going to make this and see what he thinks, though! Awesome, I would love to know what he says!